This Sherry Maple Glazed Salmon is the perfect combination of sweet and savory flavors! A easy & healthy dinner recipe with only 5 simple ingredients that’s ready in less than 30 minutes. 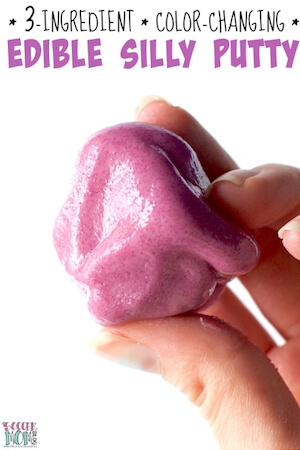 I participated in Mom Blog Tour Natural Products Expo West (#MomBlogTourFF) on behalf of Wendy’s Bloggers. I received Crown Maple® products to facilitate my review, but my opinions and creative content are my own. Mondays in our house are designated “Salmon Mondays” — about once a month we try a new salmon recipe, like this Sherry Maple Glazed Salmon. 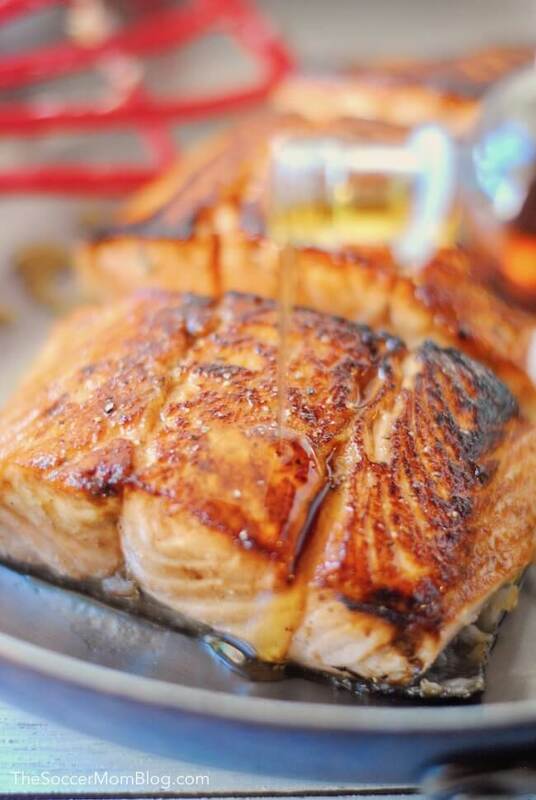 There’s something about maple syrup that perfectly complements salmon – it’s the classic pairing of sweet and savory! We use maple syrup as a sweetener in a lot of our recipes, from dinners to desserts, because it is generally considered a better-for-you alternative to refined white sugar. We love Crown Maple because it is organic, estate produced maple syrup. Many of the maple syrups you’ll find in supermarkets are actually a blend of all different kinds of maple syrup, with questionable quality standards. However, Crown Maple produces all of their own syrup on site and they have some of the most high-tech purification processes in the industry. 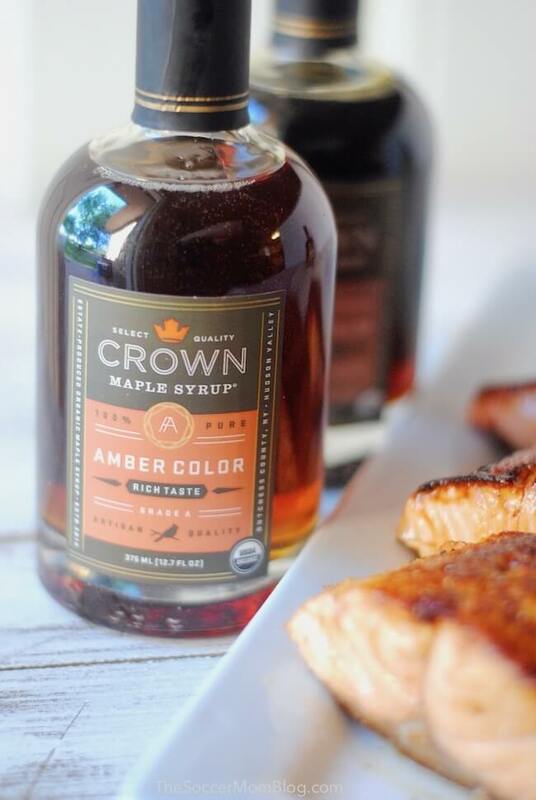 Plus, Crown Maple syrups are low glycemic, paleo, gluten free, vegan, and sustainable. 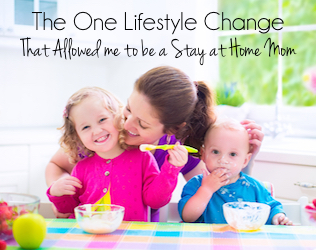 They fit into just about any diet or healthy lifestyle. Related: Try Crown Maple with our favorite Gluten Free Pancakes recipe! 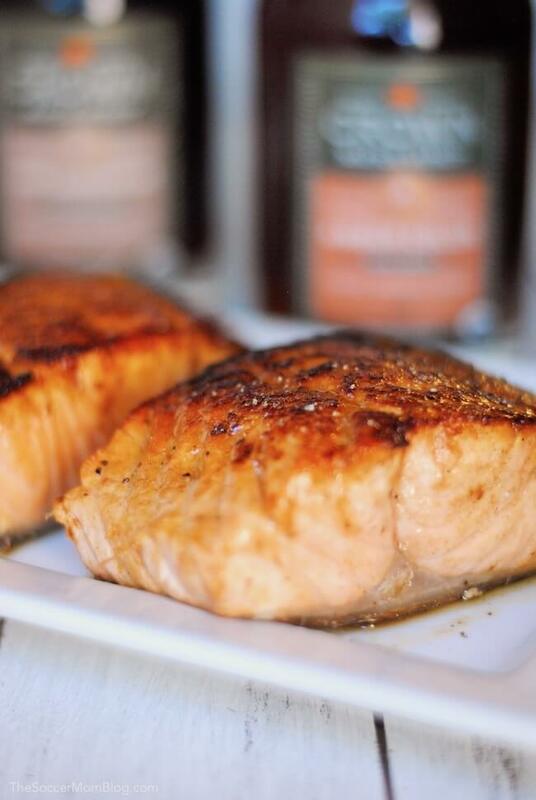 For this Maple Glazed Salmon we used Crown Maple® Amber Color Organic Maple Syrup, which is a classic flavor. However, Crown Maple also makes a wide variety of infused maple syrups that I can’t wait to experiment with! 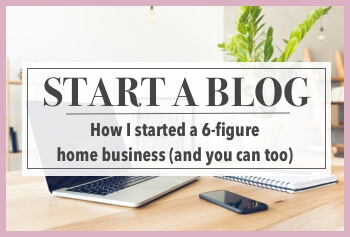 (See all their products here). 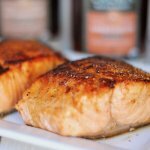 A free printable copy of this maple salmon recipe with full ingredient amounts and directions is available at the bottom of the post. Combine Crown Maple® Amber Color Organic Maple Syrup, sherry vinegar, garlic powder, and juice from one lemon in a mixing bowl and whisk together. Pour half of the marinade in a gallon zipper bag and set aside the mixing bowl with remaining sauce for later. 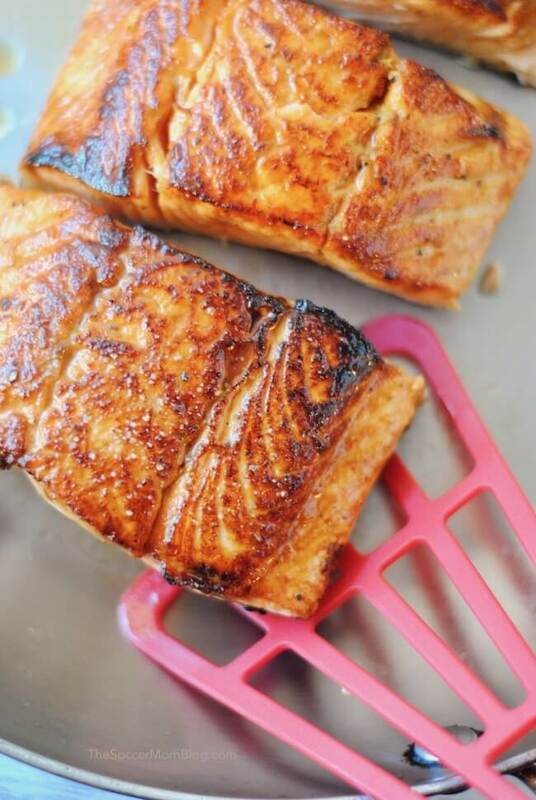 Place salmon filets in bag with marinade for 2-3 minutes while your sauté pan heats up. When salmon is done cooking, remove skin and top with the extra sherry maple sauce. This Sherry Maple Glazed Salmon is the perfect combination of sweet and savory flavors! A easy & healthy dinner recipe with only 5 simple ingredients that's ready in less than 30 minutes. Combine Crown Maple® Amber Color Organic Maple Syrup, sherry vinegar, garlic powder, and juice from one lemon in a mixing bowl and whisk together. Pour half of the marinade in a gallon zipper bag and set aside the mixing bowl with remaining sauce for later. Put salmon filets in bag with marinade for 2-3 minutes while your sauté pan heats up (medium heat). When pan is ready, place salmon filets skin side up on pan with 1 Tablespoon cooking oil. Give the pan a little shake right after you put on the salmon, so they are sure not to stick. Turn off heat, cover, and let salmon filets steam ten minutes for medium doneness. 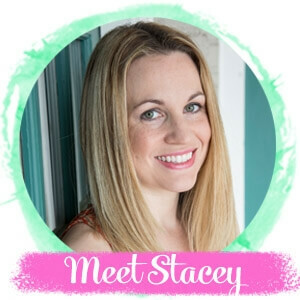 This looks amazing, Stacey! 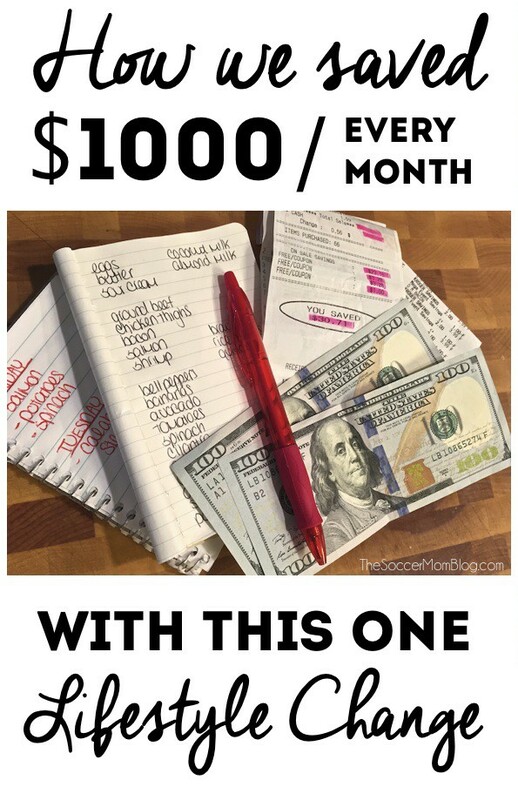 I love how you used a natural sweetener to make your salmon Monday a winner. My family would LOVE this.